Just wondering what scale you guys use to weigh all your stuff? My current food scale only reads 2 1/4 etc. Looking for something that goes at least to hundredth of an ounce. I ordered a PB701MHF and just received it the other day. My picture for some reason is corrupted, but scale read 2 1/4 just like it did my two North Fork X rays. I use the AWS Scale Mate for a lot of my weighing. 500g x 0.1g. For single guides and really small stuff, I use my reloading scale. RCBS 502 beam scale. It can weigh individual grains of gun powder. A TiSiC micro guide is not even a challenge for that scale. I also use one of those digital pocket scales from Amazon. They're fairly accurate from my experience. I have a K2 715 blank at home and a PB701MHF on the way. I can get you the weights if you like. Ogrich31 thanks for the offer, I'd love to see the weights you come up with so I can cross reference. 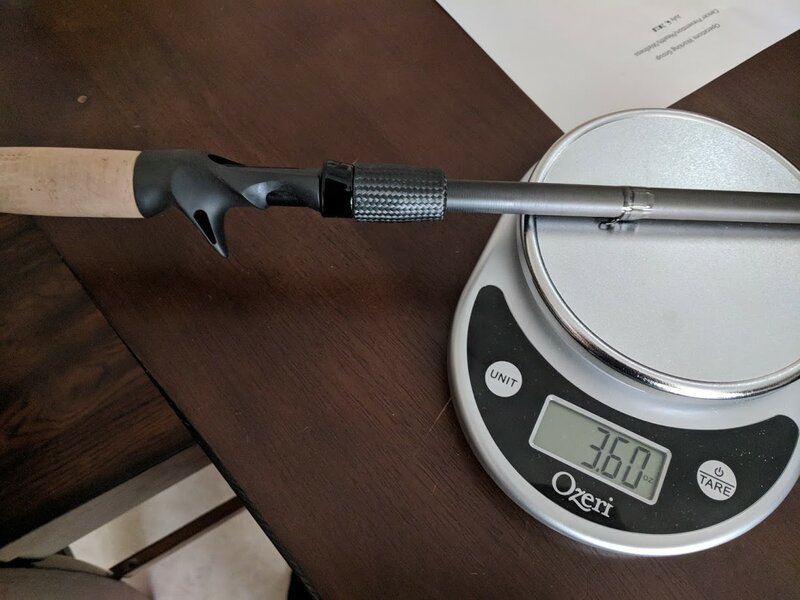 Working on uploading the pic, new weight of the point blank rod is 2.19. was hoping for the sub 2 oz as advertised but should still be nice and I know blanks vary. Every blank is different, these are just the weights on the two blanks that I have. I've measured 1 PB701MHF, 2.19 oz. Pretty happy the way it came out. sarcazmo wrote: Finished it up today. that is a pretty big discrepancy on published vs actual weights... hard to make up .35 oz!